I created some wonky stats over the off-season. Sometimes they were included in tweets with little success, but I dug myself a deeper hole by featuring some in blog posts and now a new page that lists those statistics. 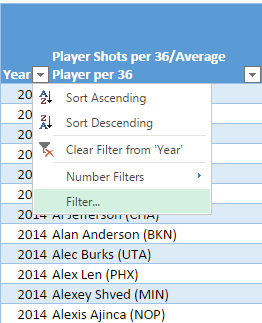 It starts with Shots Per 36 Compared to Average Player. You can find that with regular per-36 stats since 1998 here, via NBA.com. 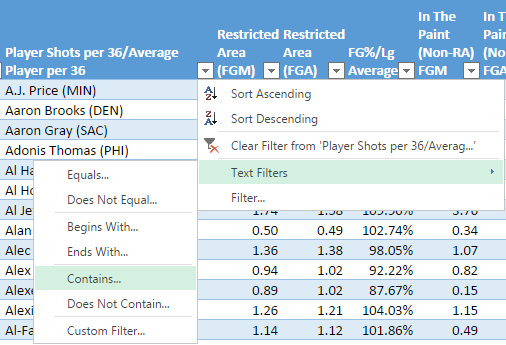 In the screenshot, you can see Josh Smith also had above-average accuracy around the rim last year. I also included that for every shot zone: Restricted area, in the paint (non-RA), mid-range, corner 3, above the break 3, and free throws. I like to think this stat is helpful, but it has its limitations. With possession totals either estimated or newly released in their exact numbers, per-36 minutes stats are outdated but this is all I had to work with over the summer. Some players’ numbers will be a tenth of a point larger or smaller because of the pace of their team(s), but I feel fine in saying that these numbers are close enough to be taken seriously. So how to best sort through tables? 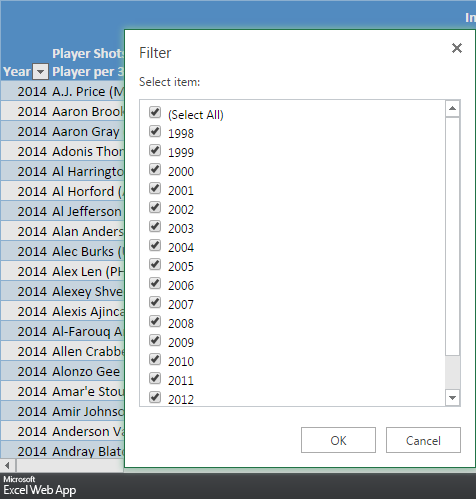 They are pretty huge since they list all players as far back as 1998 and Excel’s web app has its limitations. I’d suggest using filters to find what you’re looking for more efficiently. 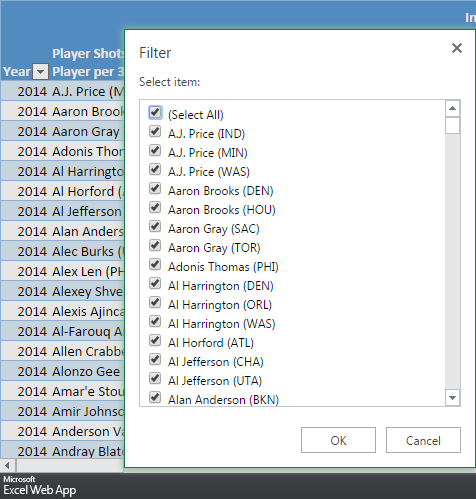 But if you want to group players together, go to ‘Filter…’, though it might help to narrow down the seasons too. 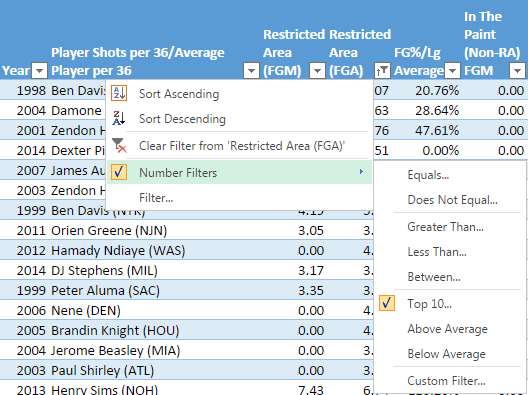 There are also filters for total minutes and NBA.com’s usage rates. 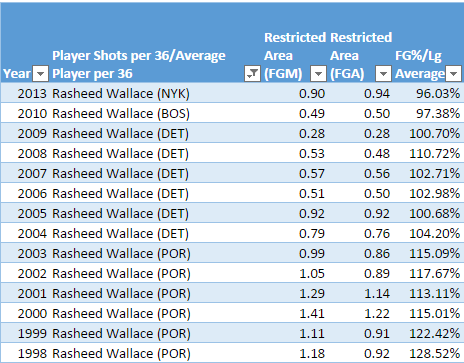 Again, you can find these stats and tables of Shots Per 36 Compared to Average Player here. Over the season, I might add on to this but there’s also a good chance more stats will be found at Nylon Calculus.